One-hundred and six pound-feet of torque is an addictive drug if you can get your hands on it, and it’s even better when it’s available to you almost instantly. Thankfully for us this dream has been a reality since 2014, in the form of the Zero SR. It accelerates like few other bikes can thanks to its 660-amp motor controller and higher-temp magnets. 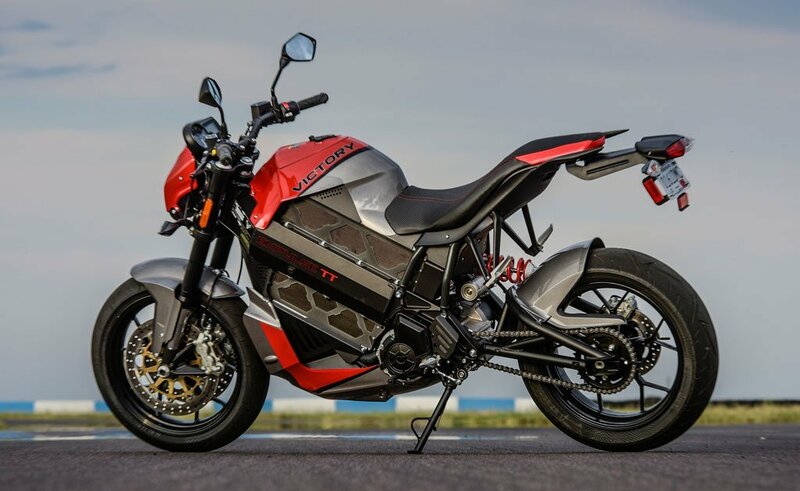 Couple that with new-for-2015 bits like Showa suspension, Pirelli tires, and Bosch ABS, and you have the makings for our Best Electric Motorcycle of 2015. The electric landscape has been relatively quiet over the past 366 days (leap year, remember? 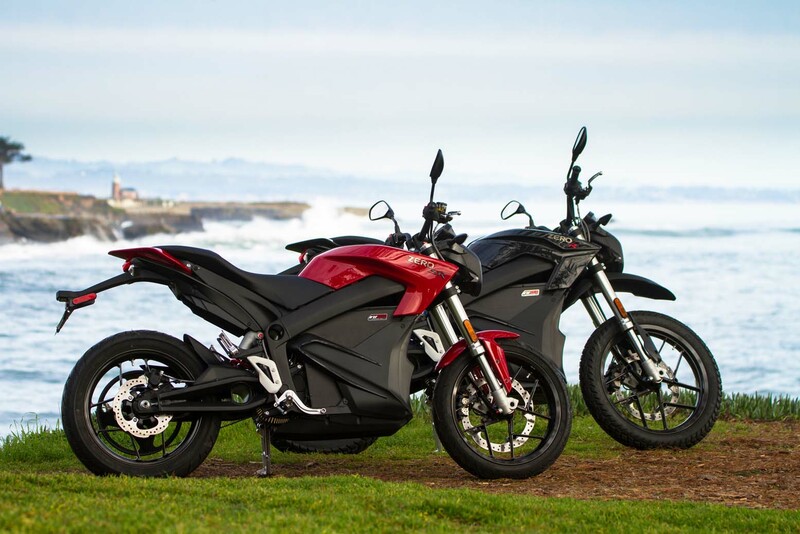 ), but when it came time to decide on our favorite electric for 2016, we couldn’t ignore the fact that Zero has made it possible to enjoy 106 lb-ft in another form: the Zero DSR. Basically the SR – 660-amp controller and all – with longer-travel suspension, knobby-ish tires and the new IPM (Internal Permanent Magnet) motor, the DSR brings all the fun of the SR to those wanting to explore some mild backroads. So what’s better than one Zero R model? Two, of course! We’re glad that while Zero is keeping its focus on commuters, the company also understands there are some of us (like the MO staff) who crave torque and acceleration above and beyond what the standard S and DS models offer. 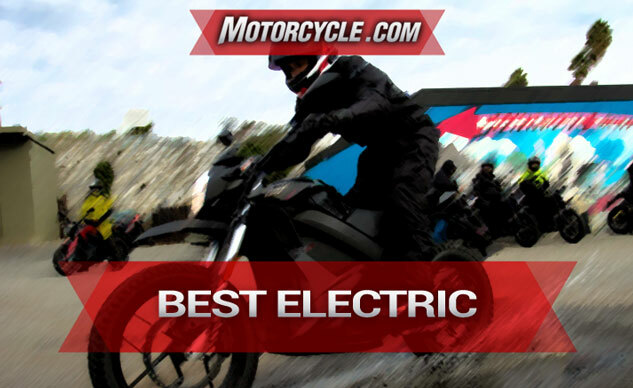 For catering to those electric speed junkies out there with the R platform, we’re happy to give Zero the Best Electric Motorcycle award for 2016. We won’t deny that the Victory Empulse TT is a better looking bike than the Zero and has arguably better parts like Brembo brakes and fully adjustable Marzocchi/Sachs suspension. Its liquid-cooled motor is less prone to overheating (which is almost a moot point now with Zero’s IPM motor), and it could even rip up a twisty stretch of road, or a racetrack, with more confidence than a Zero thanks to its sportier stance, higher ground clearance, better suspension, and 160-series rear tire instead of the 180 seen before. Best of all, with Polaris backing, the Empulse TT represents the first “mass-produced” electric with the support of a major OEM. In fact, when E-i-C Duke rode the bike at High Plains Raceway in Colorado, he noted how Alex Hultgren, Victory’s new director of marketing, views the Empulse TT as one of many models that will start to redefine the Victory brand. This gives us hope for the electric future. The Victory Empulse TT deserves an Honorable Mention in the electric category partly because of its sporting chops, but also because of the legitimacy Victory, and Polaris by extension, is giving to electrics. It’s encouraging to see a major player step up to the plate. Now let’s hope it can deliver a home run. However, as sporty and fun as the Victory is, there were a few drawbacks that edged the Zero R platform above the Victory. We’ve documented these issues before, but it’s worth mentioning again. First, the six-speed gearbox, while more refined than the initial ’box seen on Brammos, doesn’t quite make sense. We believe there are three or four gears too many, which means there’s added weight for little benefit. Having to row through gears slightly takes away from the simplicity of riding, say, a single-speed Zero. Next comes the power. At a claimed 61 lb-ft, it doesn’t quite stack up to the Hayabusa-beating 106 lb-ft from the Zero R bikes. Still, that doesn’t mean the Empulse TT won’t scoot along at a rapid pace. But maybe the biggest nail in the coffin is the Victory’s price: $20,000. Kinda makes the Zero, any Zero, seem like a bargain, really.